I love a good beef stroganoff. It’s one of those wintery dishes that has all the charm of a tummy-warming stew, but minimal prep time. 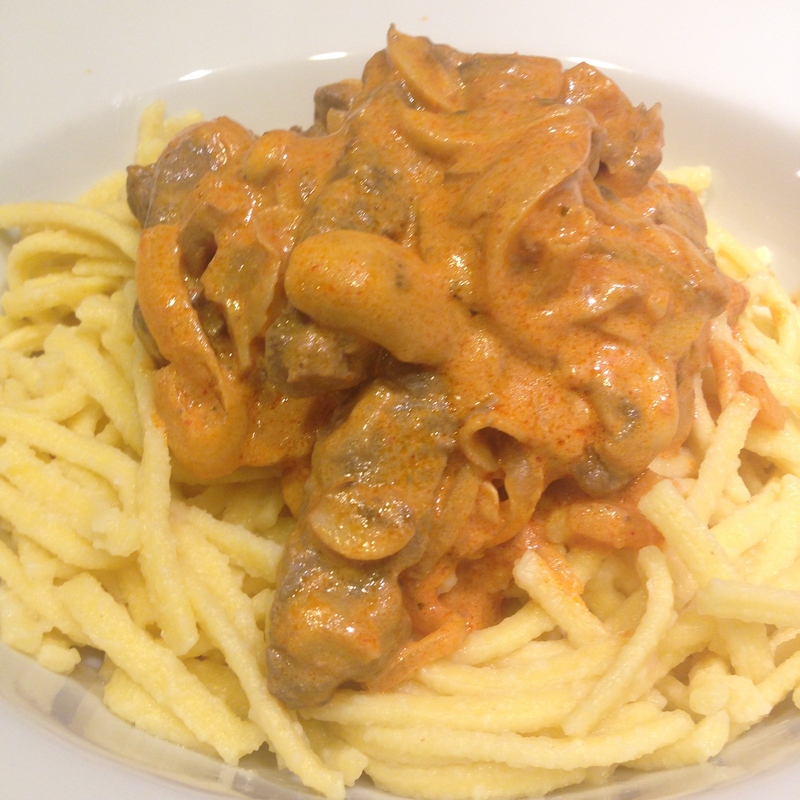 I wrote about my go-to stroganoff recipe last year, so you may be thinking why one could possibly need a second option. I wasn’t aware of any other way of making the delectable dish until I was introduced to this absolute fire cracker of a recipe. Somewhere along her ongoing path of culinary discovery, my future sister-in-law, Shona, stumbled upon this James Martin creation. A tomato-based sauce, it’s a refreshing take on the standard recipe. Not that I don’t love the original! But this is just so delicious, I couldn’t resist sharing. 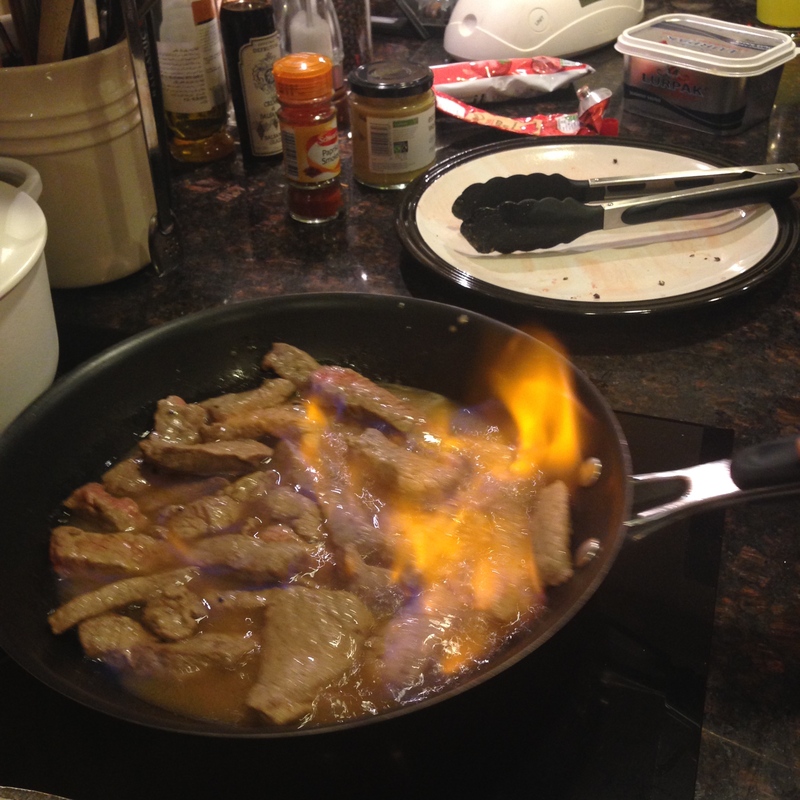 The best part about this is the flambé step – where you literally douse the beef in brandy and set the whole lot on fire! Sounds a bit tricky, but I assure you – if I can do it, you definitely can! Just be careful – remove kids/animals from the area and then let your inner pyromaniac run wild! In terms of serving suggestions – James does this with sautéed potatoes, which I have had in the past and very much enjoyed. However, this time round we went for spätzle, a traditional German egg noodle. I always have them with chicken stew whenever I visit my paternal grandparents – it’s a long-running family favourite – and so my Oma sent a few packets out to myself and Shona. 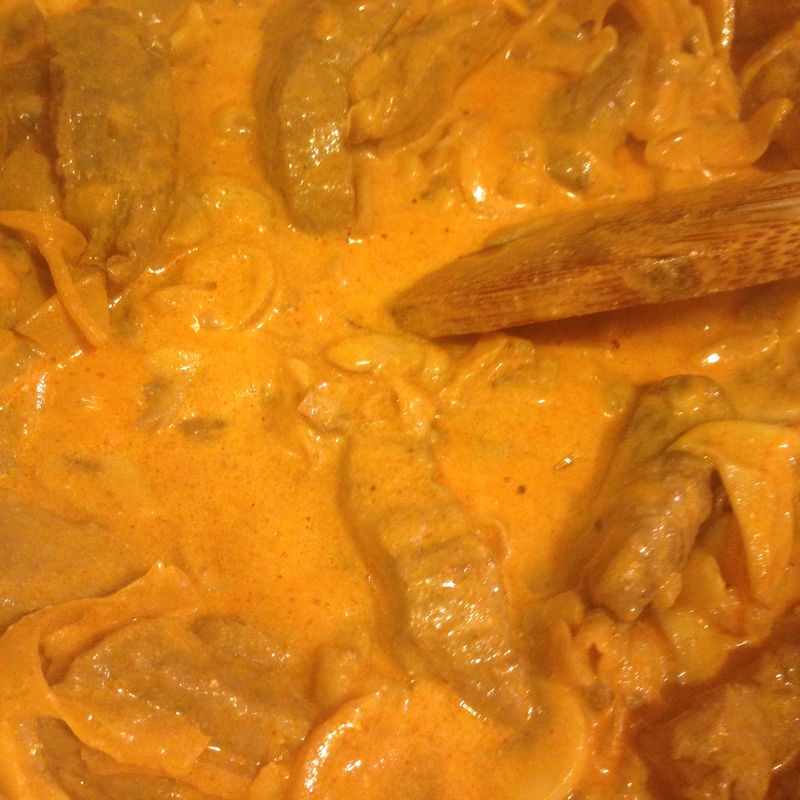 They went perfectly with this stroganoff, but you could also go for noodles, pasta, mashed potatoes or rice. Whatever you fancy really! 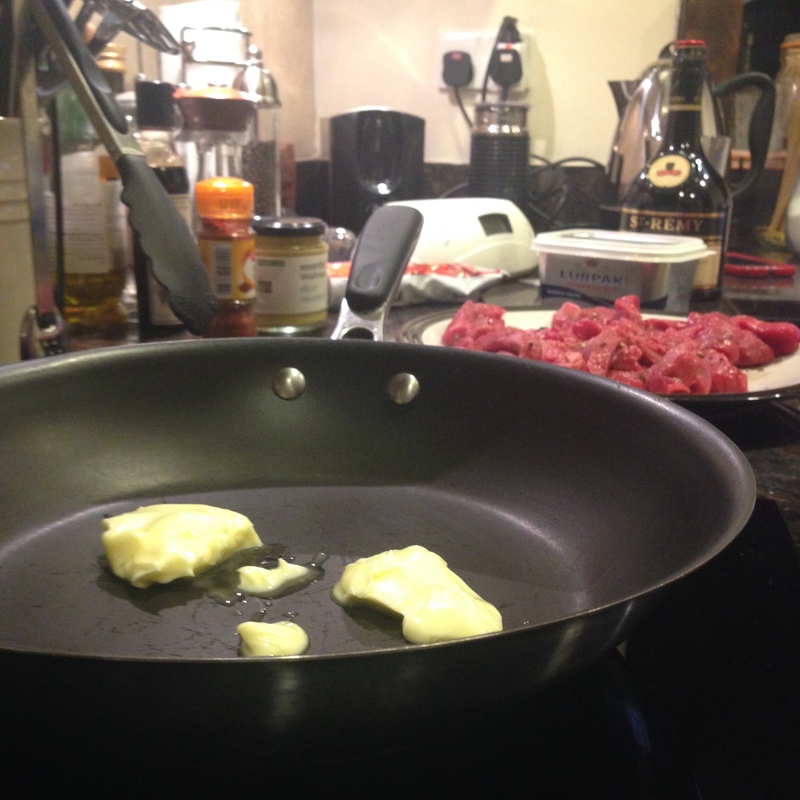 1/ Heat frying pan, and add half the butter. 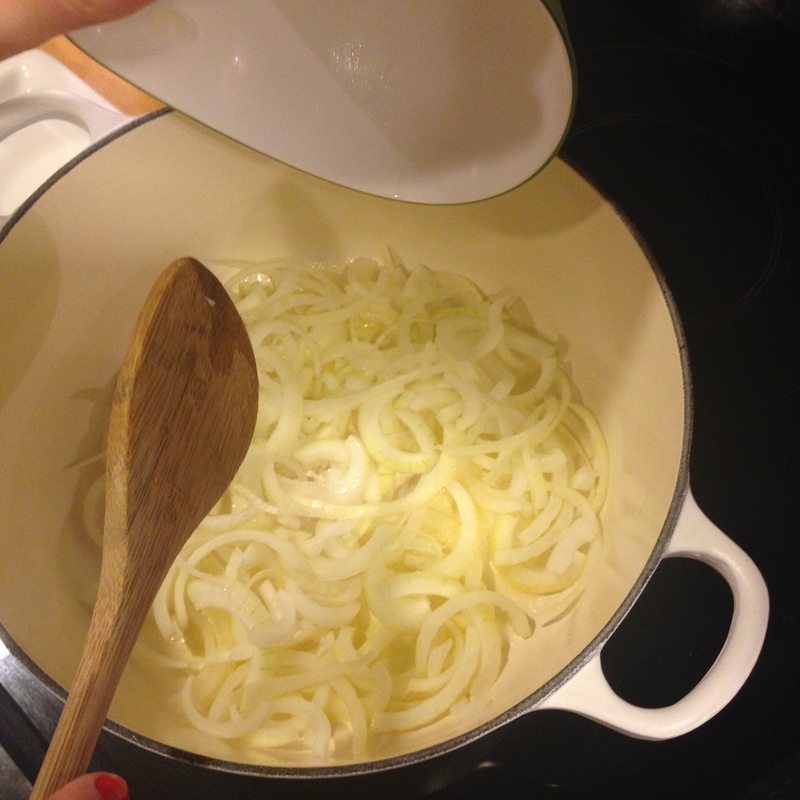 Once melted, add the onion and fry until softened. 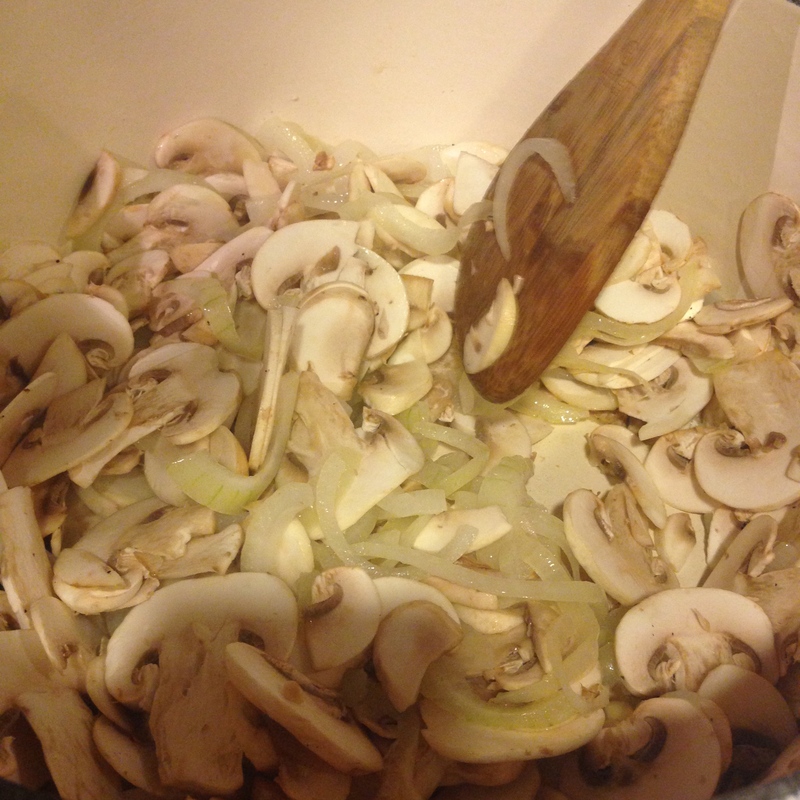 2/ Add the mushrooms, and cook for a couple of mintues. 3/ Add the tomato purée, mustard, and paprika, and cook for a minute. 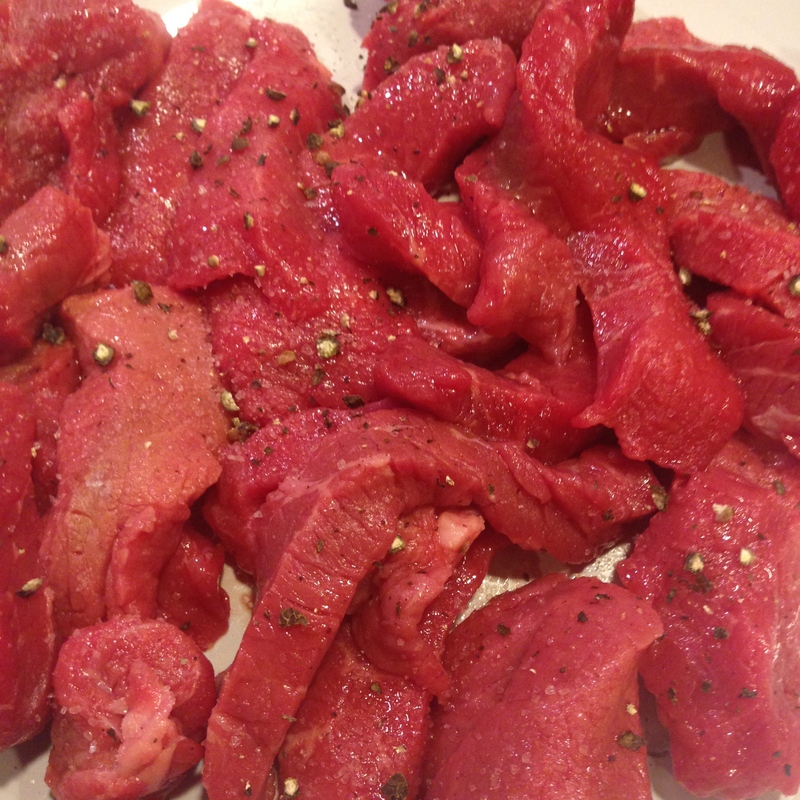 4/ Pour in the beef stock, bring to the boil, then reduce heat and simmer for 3 – 4 minutes. 5/ Season the beef with salt and pepper, and fry in the remaining butter in another frying pan until browned all over (2-3 minutes on both sides). 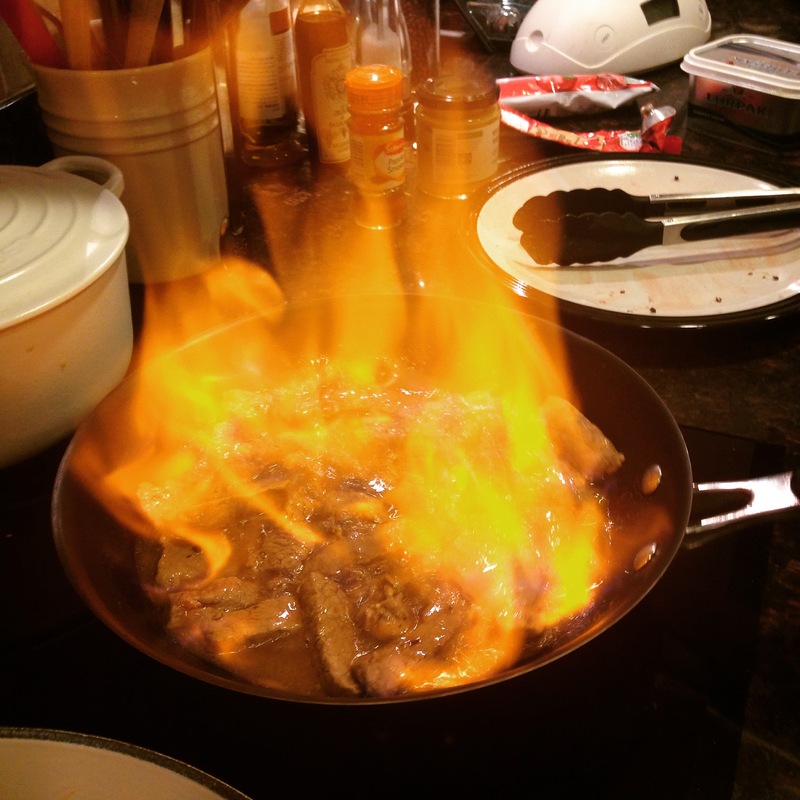 6/ Add the brandy, and carefully light, allowing the beef to flambé until the fire dies out – (CAUTION: make sure there are no flammable materials above the pan when flaming). 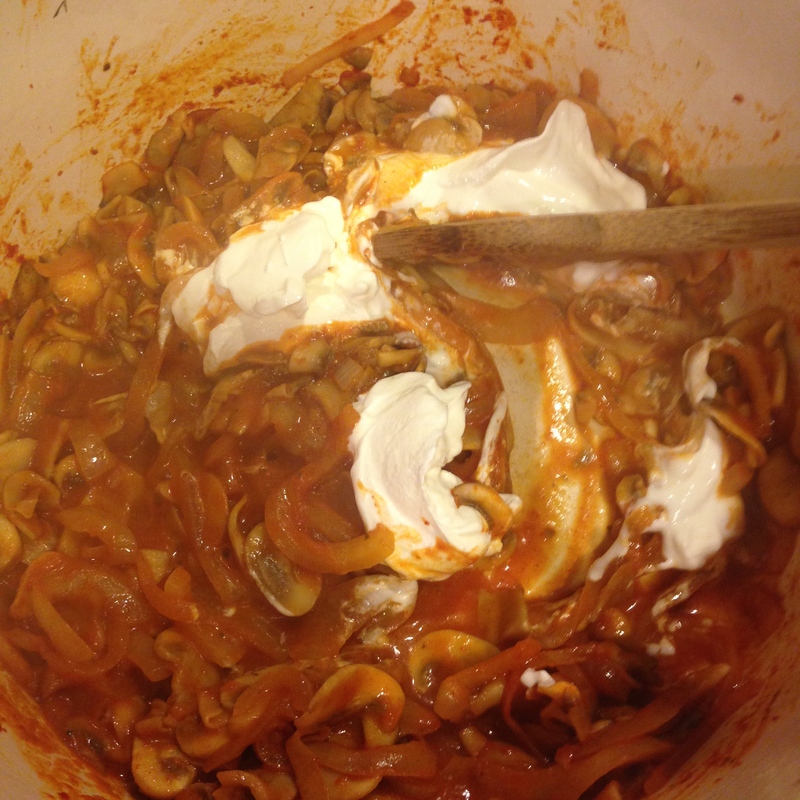 7/ Add sour cream to the mushroom and onion mix. 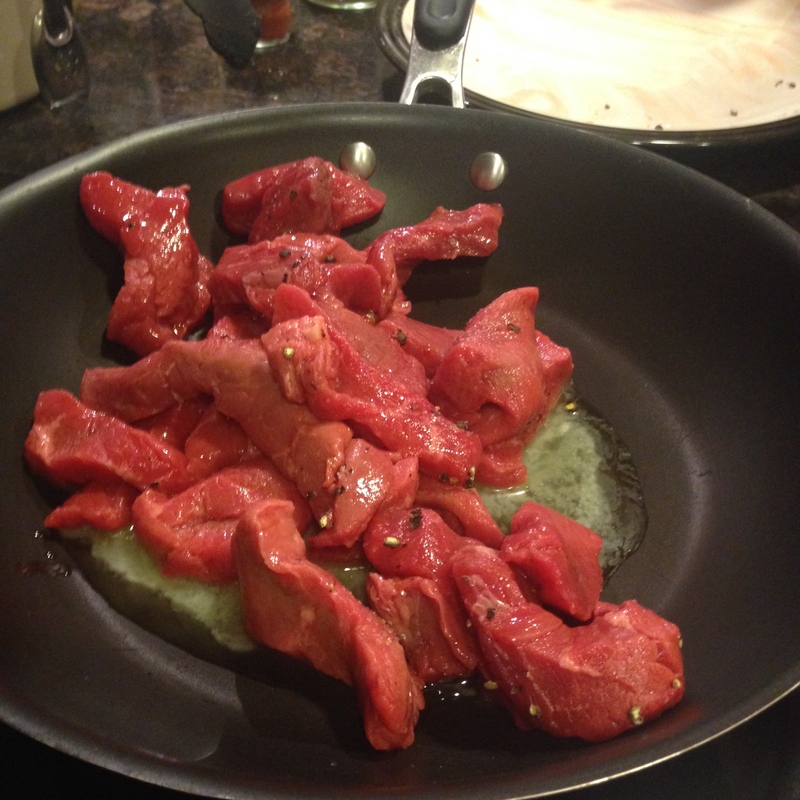 8/ Add the beef to the sour cream mixture, and cook for one minute. Season to taste, then add the parsley. 9/ Serve two spoonfuls per person with the accompaniment of your choice! Don’t forget to follow #CAKE on Facebook, Twitter, Pinterest, and Instagram! Looks so tasty! I really want to try the spaetzle! It’s sometimes available in Lidl – worth a peek!